Beach Counties and what it means to you! 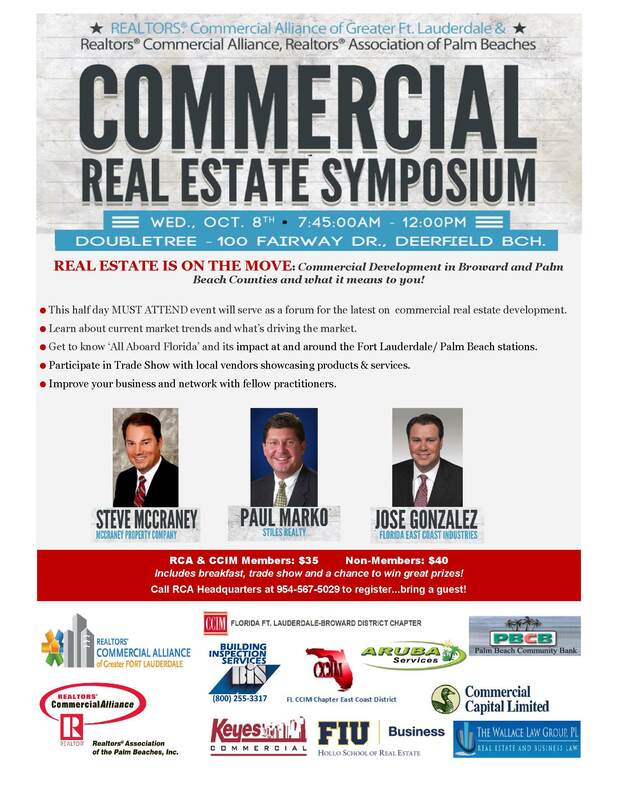 • This half day MUST ATTEND event will serve as a forum for the latest on commercial real estate development. • Learn about current market trends and what’s driving the market. • Get to know ‘All Aboard Florida’ and its impact at and around the Fort Lauderdale/ Palm Beach stations. • Participate in Trade Show with local vendors showcasing products & services. • Improve your business and network with fellow practitioners. Loan Committee attendees receive the member rate. Click here for more information.